Happy Hour specials available from 3-7pm prior to the show! The weather outside is getting cold, so come in and warm up with Rochester’s Biggest Little Band! FREE LIVE MUSIC featuring JUMBOshrimp is always a party – so don’t miss it! The show begins at5 9:30pm! The show will begin at 9:30pm and can fill up quickly, so come early, enjoy a meal and a drink, and settle in for a great show featuring one of the best bands in Rochester! It’s Friday night! Come celebrate with us! And if you’re home football viewing setup needs a boost, enter our Lucky Charm Contest for a chance to WIN a 55 inch 4K LED TV! 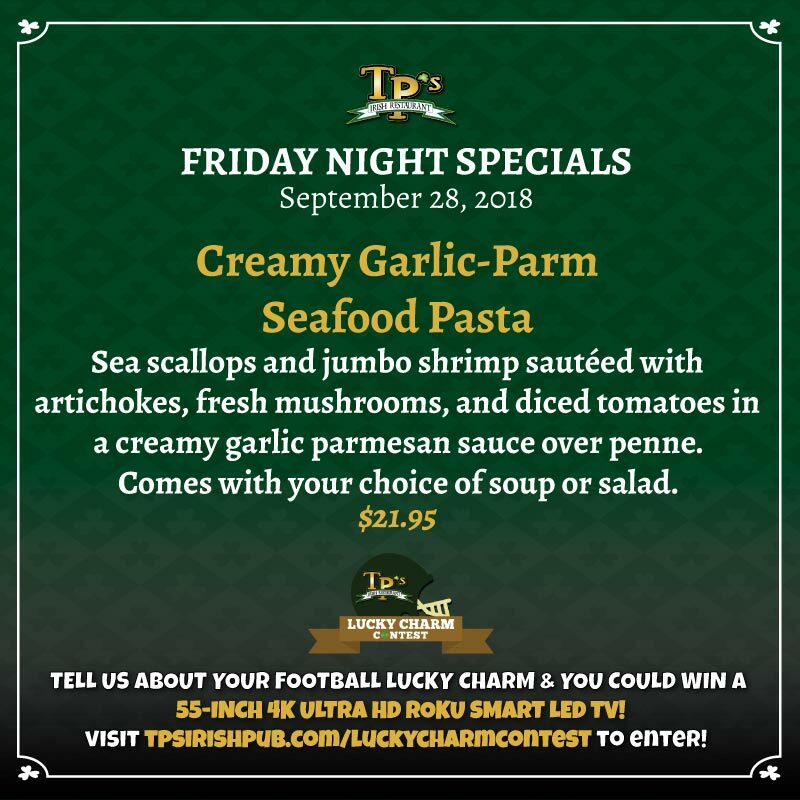 Visit TPsIrishPub.com/LuckyCharmContest for details & entry!